A simple, said service of readings, prayers and communion. A service of readings, prayers and communion, with choir. Sunday School and nursery available. A beautiful old church, lit only by candles. An atmosphere of reverence and peace and wonder. Scripture, chanted psalms, slow prayer, beautiful music from a solo musician. Nothing for you to say or do or read - only to enter and receive and experience. To simply BE in the presence of God. 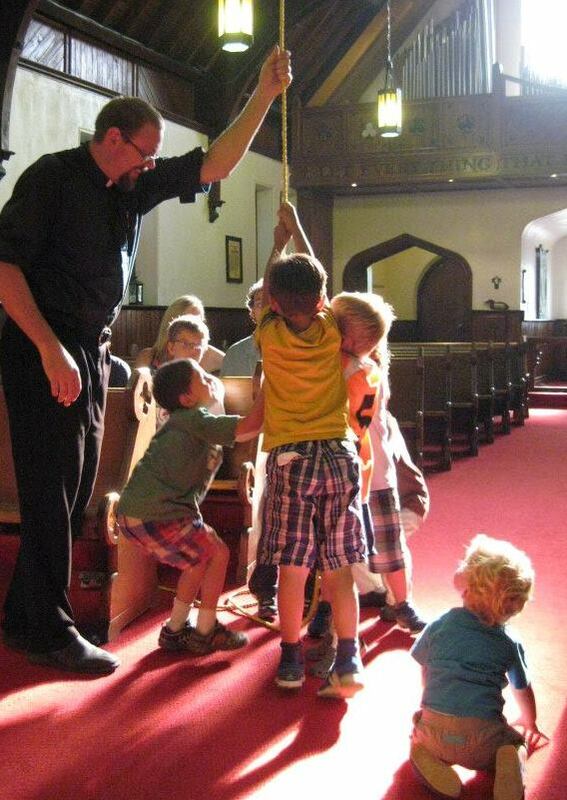 A family service tailor made for young children - short, active, teaching basics of the faith and followed by dinner! We're done by 6:30pm, in time for everyone to get home and into the bedtime routine. We ask each family to bring $5 to cover dinner.